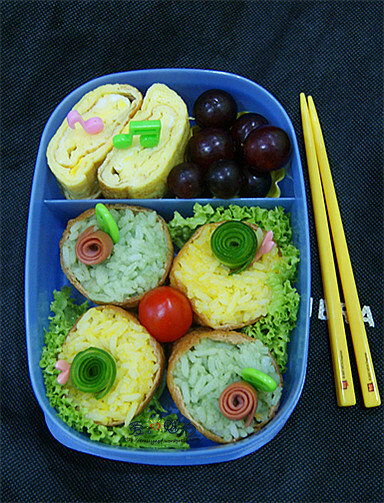 This was yesterday bento for my son. 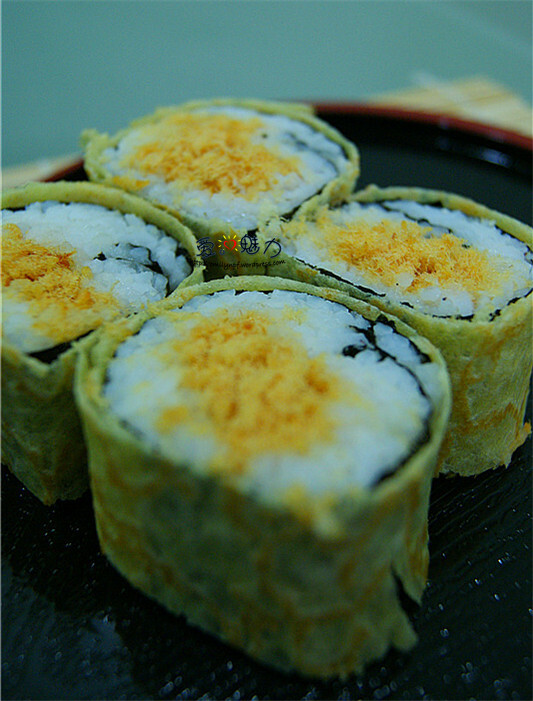 I bought a pack of inari last few weeks…and again…need to use it before it went expired..haha. 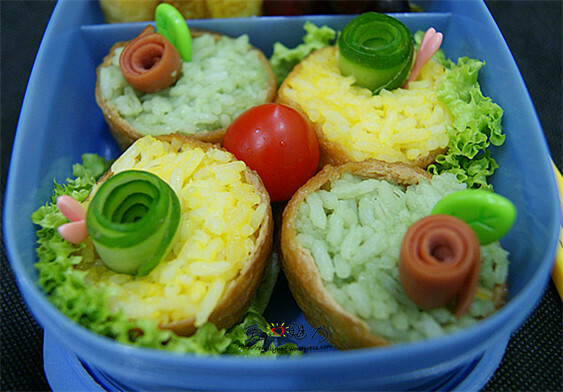 I filled the inari pockets with two different colored rice, yellow and green. Then, I made some two flowers from sausage stripes and two from cucumber stripes. 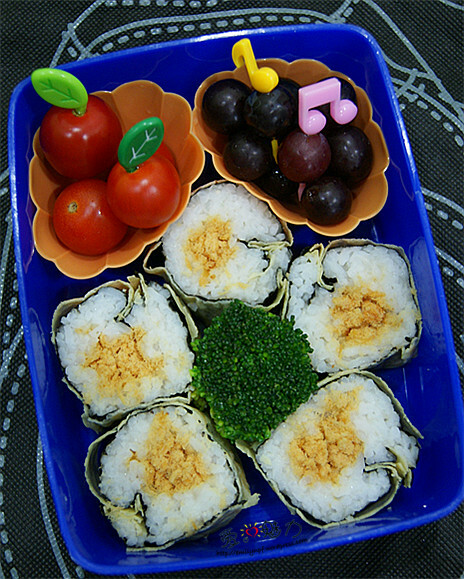 Put these flowers on the top of the inari sushi and put in the heart and leaf picks to make the inari sushi as flower pots. 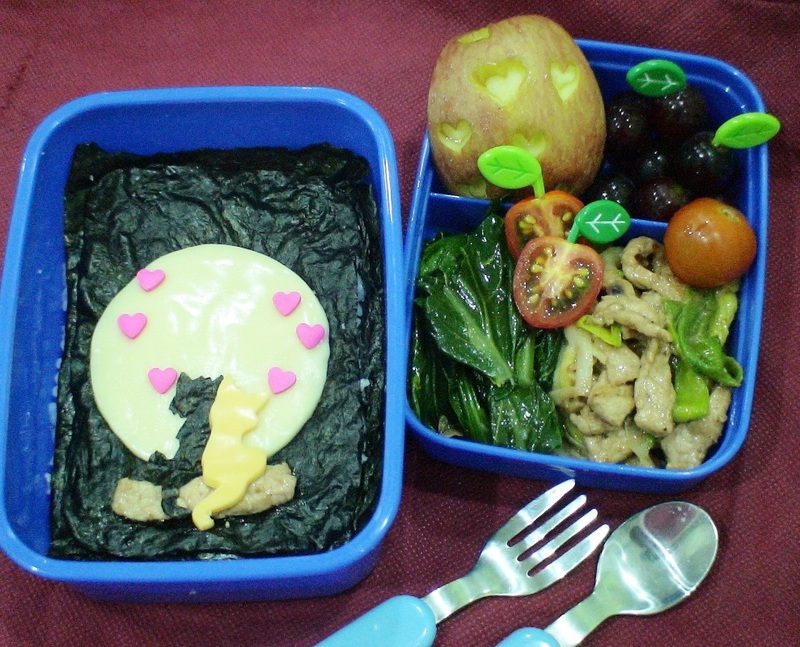 I have included some broccoli, cherry tomatoes and grapes to complete the bento. 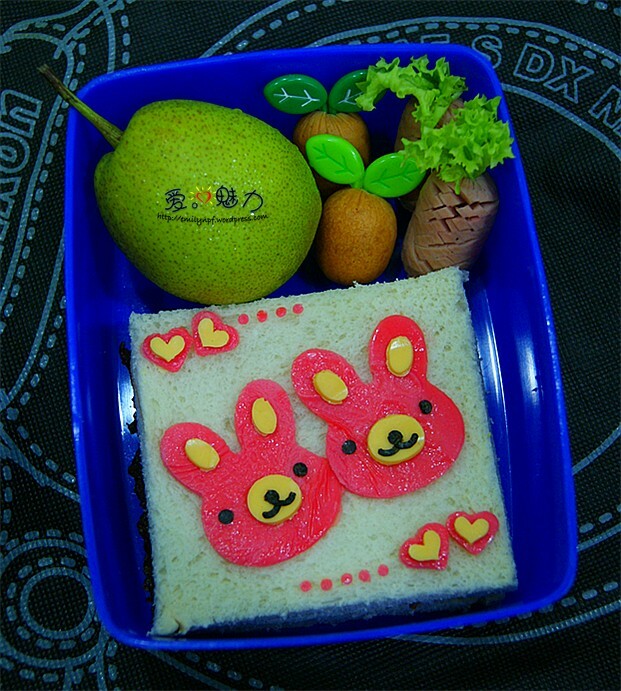 Son no need to go school today, so I have made him this pink bunnies sandwich bento yesterday. Chap Goh Meh represents the fifteenth and final day of the Lunar New Year period as celebrated by Chinese communities. The term is from the Hokkien dialect and refers to the fifteenth day of the first month, which is the occasion of the first full moon of the New Year. 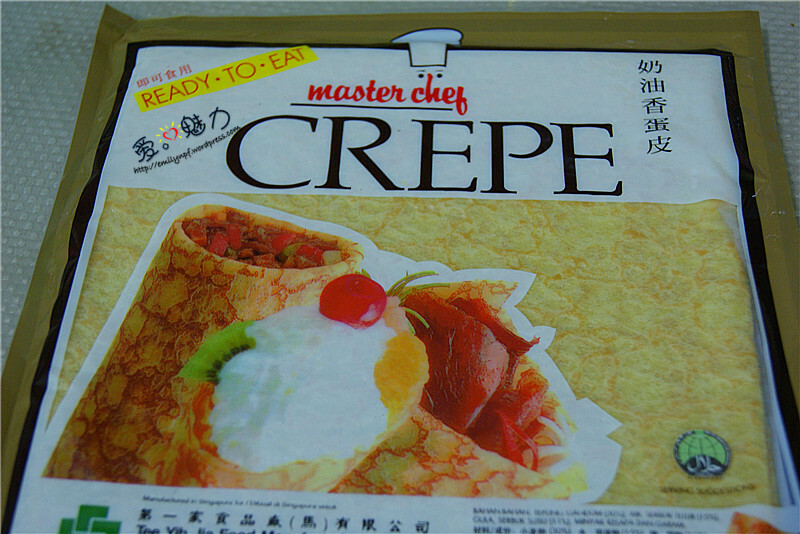 The occasion is marked by feasting and various festivities, including the consumption of tangyuan (汤圆) and Kue Keranjang. 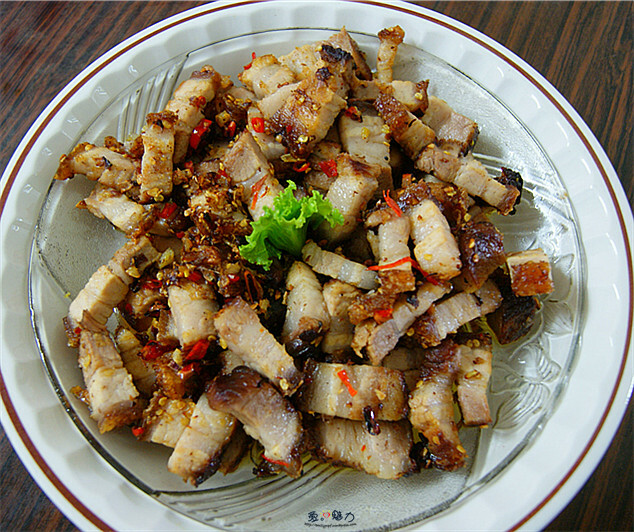 In traditional Chinese culture, it is also celebrated as the Lantern Festival or the Shang Yuan Festival. 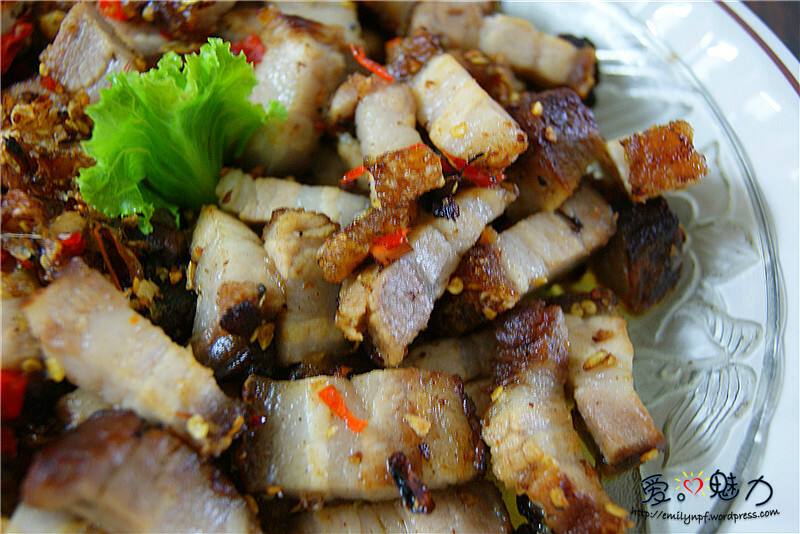 In Southeast Asia, however, it coincides with the Chinese Valentine’s Day. It is also when young unmarried women gather to toss tangerines into the sea, in a hope that their future spouse will pick it up – a custom that originated in Penang, Malaysia. In the past, this was also the only day that unmarried ladies could be seen with their partners. In order to celebrate both occasion, I made this pair of bunnies which is suitable for Lunar New Year together with the Chinese Valentine’s Day. 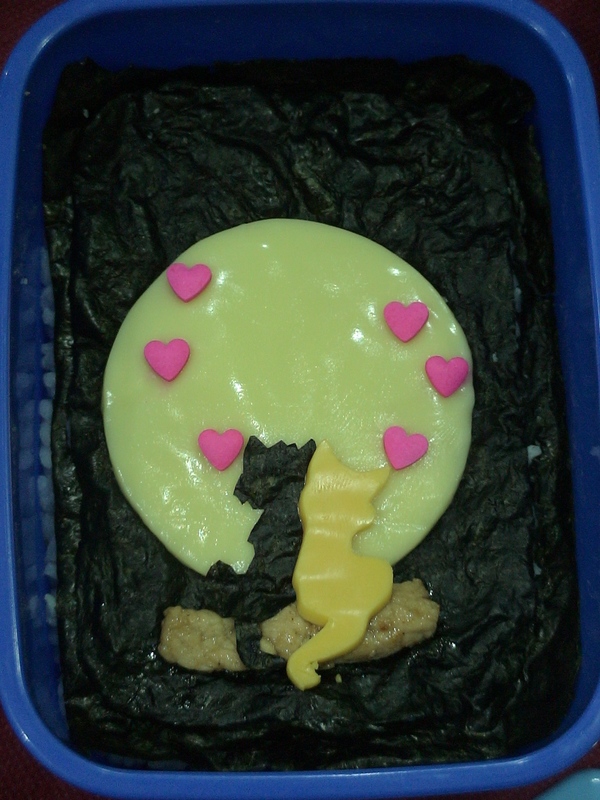 I made a pork jerky sandwich and on top of it I used pink egg sheet, nori and cheese to make the bunnies and the pink hearts . 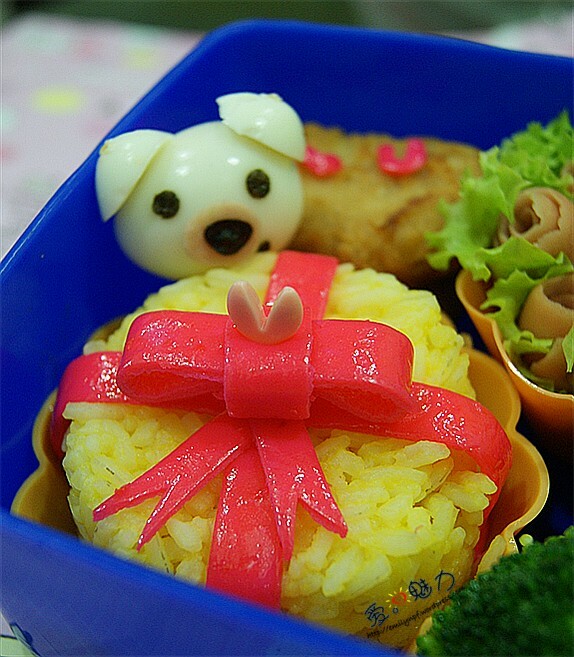 Other than the bunnies, they are sausage pineapples, mini sausages tangerines and a pear in the bento. 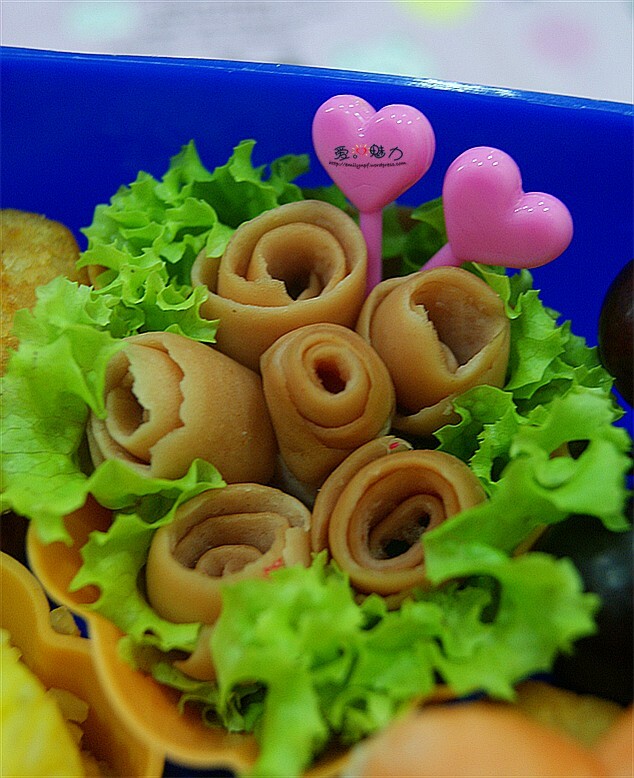 After that, I used some sausage stripes to make six roses and included some lettuce to make a bouquet of roses with two heart shape balloons (food picks). 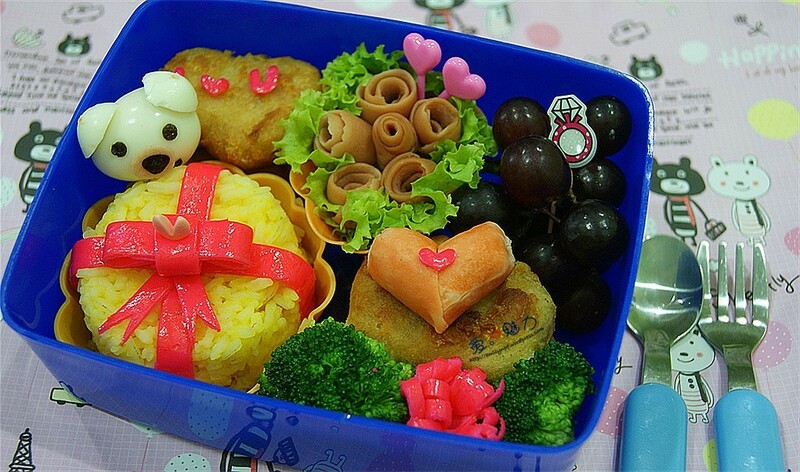 Other goodies in the bento are chicken nuggets, heart shape prawn sausage, broccoli, pink flower made of egg sheet and grapes.